WWE’s biggest angle is on the verge of blowing up in its face. 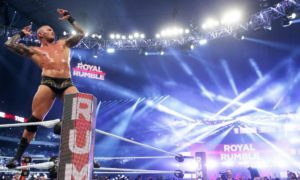 The top angle involving Randy Orton and the Legacy vs. Triple H and the McMahons is fading fast. Fan interest in this one started high, and is dropping by the week. This week’s RAW was a clear indication that in order for this thing to work, there is only one angle and it needs to be executed immediately. Triple H’s involvement in this angle was a tricky deal. For the first-time since their on-screen years ago, Triple H’s marriage to Stephanie McMahon was acknowledged. This was one of the worst kept secrets in wrestling. In this day and age of the Internet, most of the smarter fans were well aware of this. However, the average fan was kept in the dark until recently concerning the Game’s ties to the McMahon family. I have always given Triple H a lot more credit than most people. Triple H is a very polarizing figure among fans and critics. Triple H has been blasted for everything from holding guys back to getting over-pushed. It has been my opinion that he is well deserving of his push. He has been the most consistently over babyface since the Rock and Stone Cold. You can’t argue with 20,000 fans cheering wildly for the Game. Well, that is until now. The fans are starting to turn on Triple H and turn fast. I think it is a combination of a lot of different things, this main angle being the catalyst of everything. For the first-time that I remember, the fans were almost silent Monday as the Game walked to the ring. The crowd would have been frenzied a month ago. Fans were even booing his win at WrestleMania. How could someone so over lose face so fast with the fans? The answer is easy and it amazes me that he has even let himself be put in this position. The WWE are using their most successful angle in reverse. Fans all over the world got behind Steve Austin standing up to his ruthless boss a decade ago. Everyone could relate to wanting to punch your boss. Not many people can relate to sucking up to your boss, especially when he is Vince McMahon. For the better part of the last decade, the McMahon family has portrayed themselves as ruthless, aggressive, cocky, arrogant, power-hungry jerks. Anytime the McMahons acted as babyfaces, they turned on the fans shortly thereafter. Fans have been treated to seeing their favorites made to kiss Vince’s behind, fired, embarrassed, humiliated, oppressed, and screwed. Ladies and gentleman, meet your newest sympathetic babyfaces. On top of all of this, the fans are being fed a heavy dose of a wrestler they could care less about. Shane McMahon has had some great matches, but he needs to be a heel. Do you think a construction worker is going to root for Donald Trump Jr. in a fight against another blue collar worker? The WWE are more out of touch than I thought if they expect anyone to feel an ounce of sympathy for Shane McMahon. 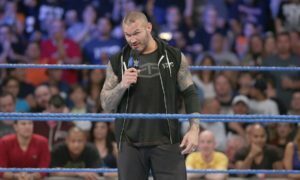 The fans are not only not buying it, they are enjoying seeing Randy Orton give the McMahons a dose of their own medicine. Who wouldn’t? Now, the same guy who has stood up to the establishment is now one of them. How cool is defending your father-in law when he proudly proclaims himself as one of the biggest jerks on the planet? What does the average fan in the crowd think when he realizes that the guy on top the last few years is related to the boss? Put it all together and you will see a backlash on Triple H faster than you can job out Ric Flair. Triple H is the last of the great run of superstars from the Attitude era. Like him or not, the guy has been a constant draw. The only way to salvage this thing is to have the McMahons turn on Triple H. Fans can relate to wanting to punch your in-laws in the mouth. The only way that anyone is going to stand up behind Triple H is to turn the entire family, wife included on him. Anything less will continue to damage him and his legacy. The main-event at Backlash is about as absurd as anything crazy TNA Wrestling has booked over the last few years. The idea of fans cheering Triple H over Randy Orton in this situation is just not going to work. Do the turn, and do it quick. At his age, Triple H doesn’t have many years left on top. Unfortunately the WWE has not set themselves up for life after Triple H. The McMahons need Triple H on the other side of the ring than standing next to them. At this point, this is their only way out of this mess. Click here to order the Triple H – King of Kings DVD. Headlocks & Eye Gouges – I will be re-launching my Pro Wrestling Radio show live online Tuesday night April 14, at 8 PM/EST. Call in with a question or comment at 1-877-800-8834. 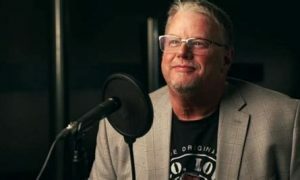 Check out http://www.prowrestlingradio.com for more details on how and where to listen. Ric Flair turned down the opportunity to be the new SmackDown G.M. Flair was reportedly offered $250,ooo a year. There are strong indications that Shawn Michaels will wrestle his last WrestleMania match next year. There was internal debate regarding inducting Owen Hart into the WWE Hall of Fame. Some feel that the move could spark a public outcry from his wife. 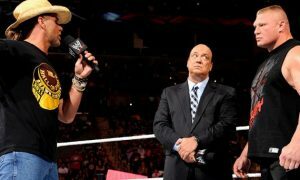 Bret Hart has stated that he would like to induct his brother and father at some point. 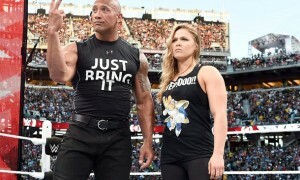 Batista expressed his desire to the WWE to return to the ring ahead of schedule. Mickey Rourke recently stated that he was disappointed that he did not wrestle Chris Jericho. Rourke blames his manager who told him that a match could damage his career in future movies.